----Chanel No. 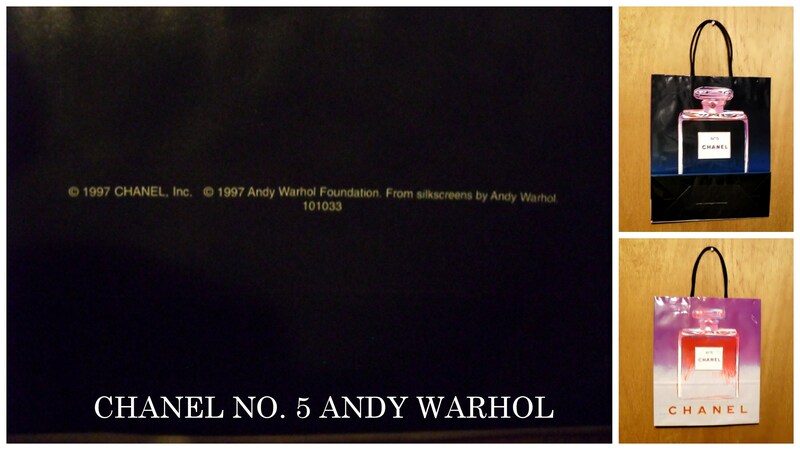 5 Andy Warhol designed paper shopping bag from 1997. This bag is copyrighted with 1997 Andy Warhol Foundation and Chanel, Inc. The size of the bag is approximately 13" long x approximately 11" wide, not including handles. 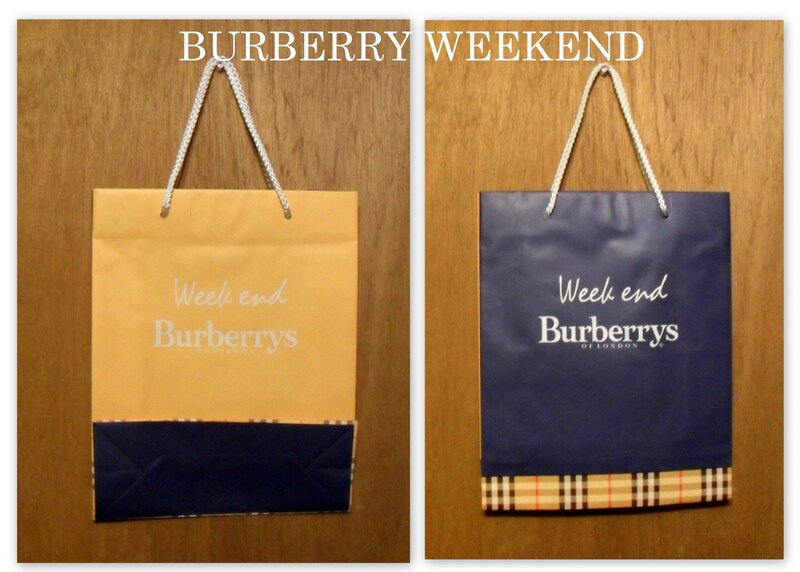 ----Burberry Weekend paper shopping bag from 1997. The size of the bag is approximately 12.75" long x approximately 10.25" wide, not including handles. 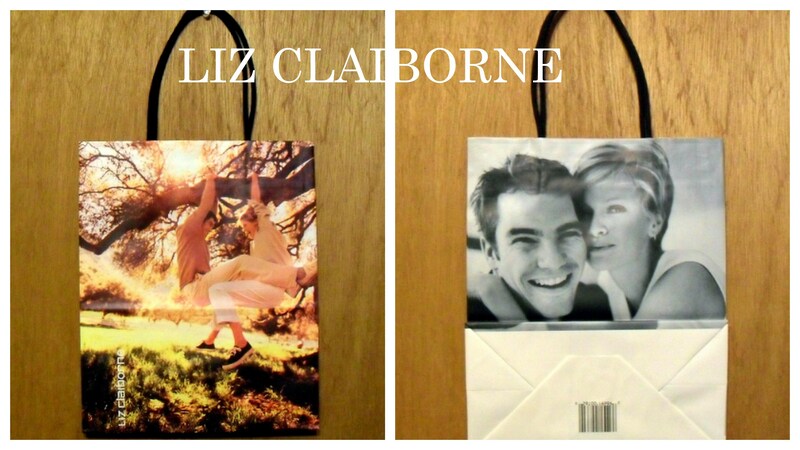 ----original Liz Claiborne paper shopping bag from the 1990s. The size of the bag is approximately 10.5" long x approximately 8.5" wide, not including handles. 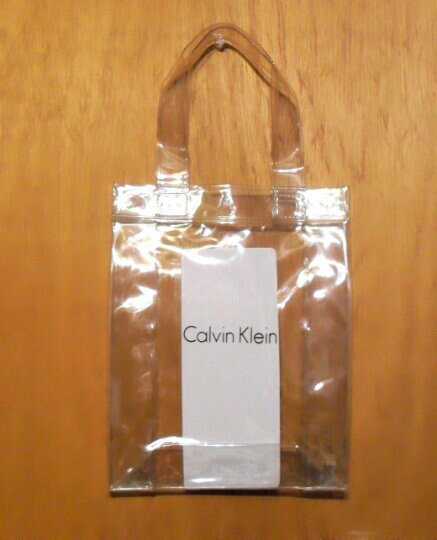 ---- Calvin Klein clear plastic vinyl shopping bag from the 1990s, probably for Eternity or CK One. The color is very good on the bag with no yellowing. The size of the bag is approximately 9.5" long x approximately 7.5" wide, not including handles. 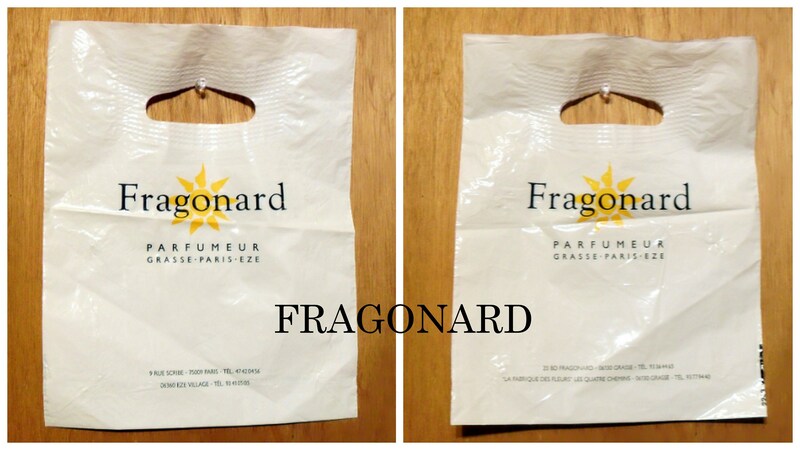 ----Fragonard thin plastic shopping bag from the 1990s. 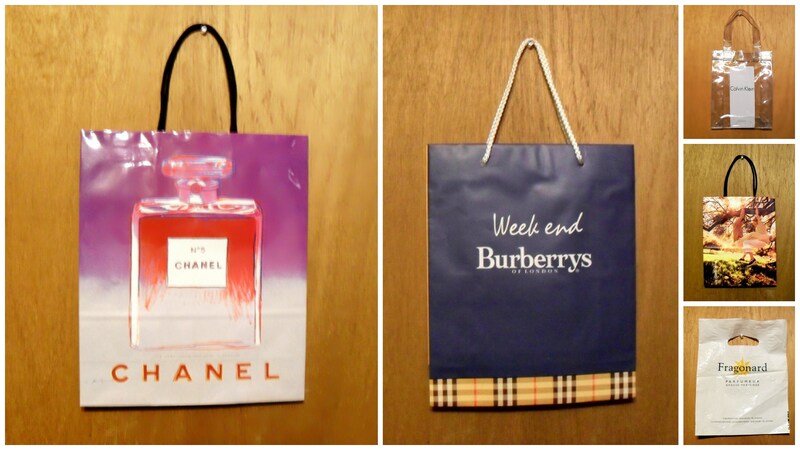 The bag has some wear and wrinkles from storage as it is made up of a flimsy thin plastic. The color is very good on the bag with no yellowing. The size of the bag is approximately 12" long x approximately 9.5" wide.